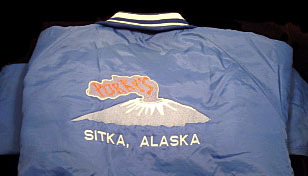 When you successfully pull off one of the most epic pranks in the history of the United States, the only thing left to do is design commemorative wear like this “Porky’s” jacket in the Sitka History Museum’s permanent collection. Porky had waited three years for this, collecting old tires in his shop ever since he hatched the idea back in 1971. April Fool’s Day, 1974 had finally provided the right visibility conditions. He planned to fly his collection of tires into the crater of the volcano and set them on fire, all in an attempt to fool Sitka’s residents into thinking that the familiar volcano was about to erupt. Porky rushed to his shop and, after calling multiple helicopter charters, was able to enlist the services of Earl Walker from Petersburg. Although Earl was fog-bound in Petersburg, he was excited by Porky’s idea and said he would be on his way to Sitka as soon as the weather cleared. While waiting, Porky made two rope slings about 150 feet long, each holding 50 old car tires. He also gathered oily rags, a gallon of Sterno, a whole lot of diesel oil, and a dozen smoke bombs– anything and everything that would emit thick, black smoke. Upon Earl’s arrival, and with the help of their accomplices, Larry Nelson and Ken Stedman, Porky and Earl loaded the helicopter and off they flew toward Mt. Edgecumbe. They dropped the tires and incendiaries into the volcano’s crater. They spray-painted “APRIL FOOL’S” in 50-foot letters onto the snow and set their creation ablaze. When asking the FAA tower for permission to land back in Sitka, Homer Sutter, the air-traffic controller, said, “I’ll bring you in as low and inconspicuously as possible…and, by the way, the son of a gun looks fantastic!” Porky had notified the FAA and the Sitka Police Department, but had somehow forgotten the Coast Guard. The Coast Guard quickly scrambled to its boats and helicopter to investigate, but the chopper pilot soon found himself looking down at a pile of smoldering tires and a big April Fool’s sign in the snow. Phones rang off the hook at radio stations and the Police Department as concerned citizens called in. Porky has accomplished his mission. 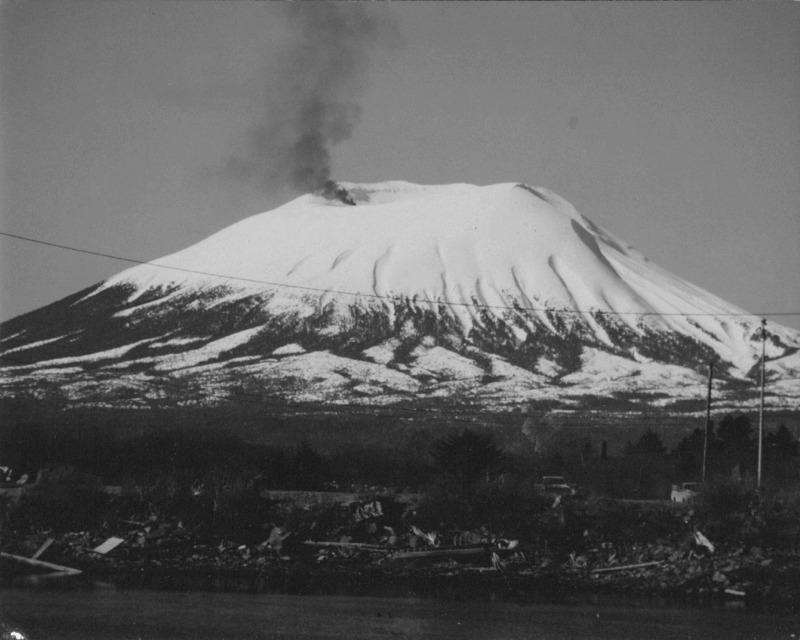 He had fooled Sitka into thinking their supposedly-extinct volcano was preparing to erupt.